The images in this gallery must not be copied but can be purchased download or prints for personal use only. There is a small charge. You will be asked to set up an account to purchase my work. Name, email and a password of your choice is all that is required. I have added a watermark to all my images this will be removed on download or purchase.but please respect my copyright. Once purchased use on Facebook, showcase or similar sites is ok but please put a credit against each image used Photograph by Paul H Lunnon. 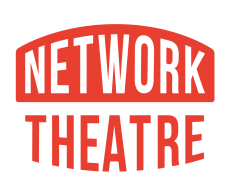 My full terms for Network Theatre can be found here Failure to do this will be pursued. Pictures taken at the dress rehearsal of Network Theatres production of Cloud 9 on Sunday 24 June 2018. Directed by Daniel Carter with the cast Shamini Bundell, Gabriela Godinho-Moxon, Dominic Thomson, Freddie Griggs, Agnès Rivet'Jennie Rich and Alexi Stylianou.